I think it feels like a little good guy with all of these curing tapes. Impression that there is a little thick and seems strong. After that I look forward to durability. This review is about item#37055776. The parking lot at home is narrow, I parked the car body against the block wall of the border, and I parked it, but I purchased a rubber sheet with a monotalrow to prevent scratches, I bought the tape to fix this. Although it is the hot weather days, I fixed the rubber sheet by sticking the tape directly to the block itself, but withstood the weight of the seat, I continue to withstand heat and wind and rain. About one month today. I would like to see the future durability. This review is about item#37055751. While I wanted silver color, I bought this cheap price, when working, the cloth was strong with one hand I could not easily break it but I had a hard time but I got a sticky, I am satisfied with the appearance of the finish well. Even if it is exposed to direct sunlight, it is very good not to be sticky. Exhibition curing of the stage and art work. 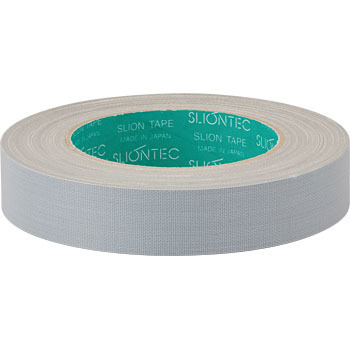 It is an excellent curing tape. I used the aircraft parts of the artworks in the open air for fixing in rain cure with plastic bags. Regardless of its use in an environment where direct sunlight or rain is applied for about 2 months in the open air in the summer, it kept adhesive strength all the time and peeled off without glue transfer even after 2 months. Moreover, I did not feel the deterioration of ultraviolet rays of the material. Moreover, it is useful also for fixation of cable, etc. of outdoor stage work.